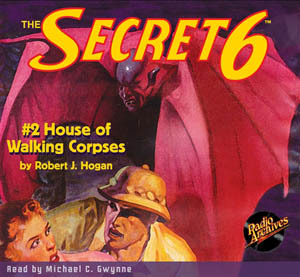 The premise of The Secret 6 was deceptively simple, yet pure pulp. An enigmatic adventurer known only as King busts out of Death Row to form an anti-crime group called The Secret 6. The others include The Key, The Doctor, Shakespeare, The Bishop, and Luga, as well as numerous underworld stool pigeons and hangers-on. All are wanted. So they operate outside the law. 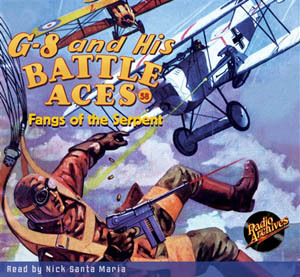 The work of the wildly imaginative Robert J. Hogan, who pitted his World War I flying ace, G-8, against zombies, Martians, defrosted Viking warriors, and other bizarre foes, The Secret 6 battled sinister supervillains, a Mayan Bat-Man, a giant golden alligator and other outrageous menaces. 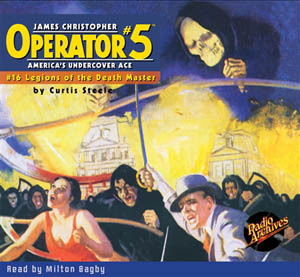 Few pulp series stretched reality as did this four-issue Popular Publications title from 1934-35. There were no limits. That’s what made it a terrific read. 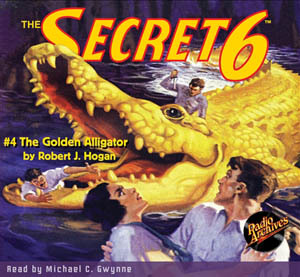 If you wanted to, you could call The Secret 6 “Doc Savage lite”. The series followed a similar template––a group of adventurers pitting themselves against overwhelming threats. The big difference was that the leader, King, was no superman. Like Hogan’s G-8, he was a typical American he-man, not a fearless wonder-worker. King could feel fear, and make mistakes. He was not perfect, therefore the average reader could identify with him, and see himself in King’s shoes. 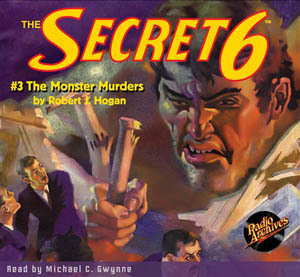 The third Secret 6 entry shows every indication of having been inspired by the famous Doc Savage novel, The Monsters. The premise is virtually identical––giant creatures are terrorizing the rural population. Authorities are helpless. Only the resourceful Secret 6 team is up to the challenge. No doubt the inspiration for both of these pulp classics goes back to the 1933 film, King Kong. In The Monster Murders, we encounter ferocious packs of gigantic dogs, 30 foot giants, and other towering nightmare threats to life and liberty. The Murder Monsters is read by Michael C. Gwynne. Chapter 17: King, Police Commissioner!